From birth onwards the quality and nature of the primary parent–child relationship plays an important role in a child’s life and has been found to be a key factor in the developmental prospects for the child. The quality of parent–child relationships considerably differs between parent–child dyads and is considered as a broad multidimensional concept with several interconnected elements: (1) the child’s overt interactional behaviors; (2) the parent’s overt interactional behaviors; (3) the parent’s representations of that interaction; and (4) the child’s representation of that same interaction. These concepts can be assessed by various methods. 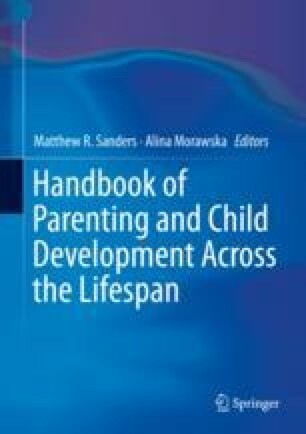 In this chapter, we give an overview of the important role of parent–child relationships and attachment for children’s development, assessment methods and the implications for research, practice, and policy.